This is the ninth year that Juice Media has been recognized by the American Advertising Awards since Mande founded the company in 2010. Here at Juice, we did a little happy dance when this month's issue of Wine Enthusiast landed in the mailbox. 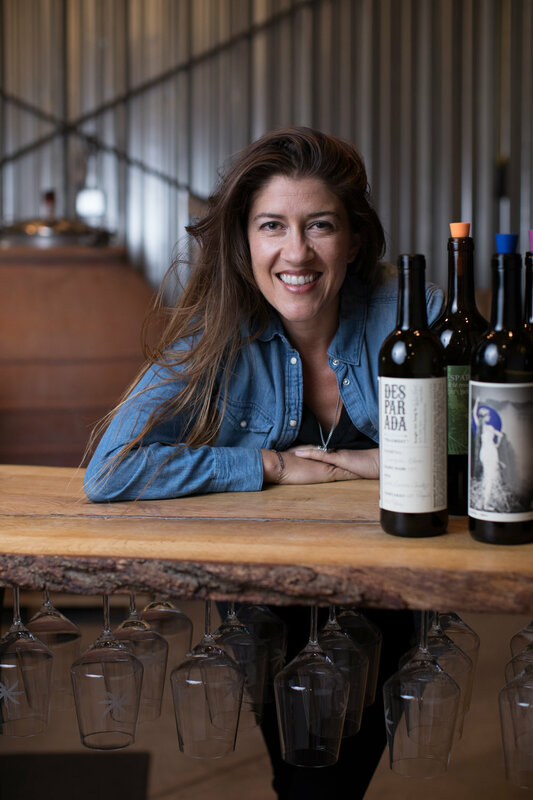 Our creative and fearless leader, Dina Mande, photographed five local winemakers for an artistic and offbeat feature about these trailblazers crushing to the beat of their own drum. Paired with Matt Kettmann's words, and sprinkled with quotes from our talented, local celebrities, this article is worth a read. Here are a few more of our favorite shots. Seem's like everyone's trying to demystify the perfect hashtag these days, here is Juice's take on the pound signs' triumphant comeback in the digital age. Created for J. Lohr's #YouKnowJLohr campaign, enjoy "Hashtag Wine"
"A Memorable Experience" gives a taste of what to expect from warm, intimate ambiance to succulent, mouth-watering dishes. "Fresh Pasta" is a deeper look at the in-house process of creating artisan pastas for the restaurant everyday. "A Focus on Truffles" highlights one of Il Cortile's favorite special ingredients. "Introducing Il Cortile" follows Santos & Carole as they talk about their inspiration to open Il Cortile, their kitchen philosophy, and love of Paso. Juice is excited to unveil the 2nd half of a new video series: #YouKnowJLohr. 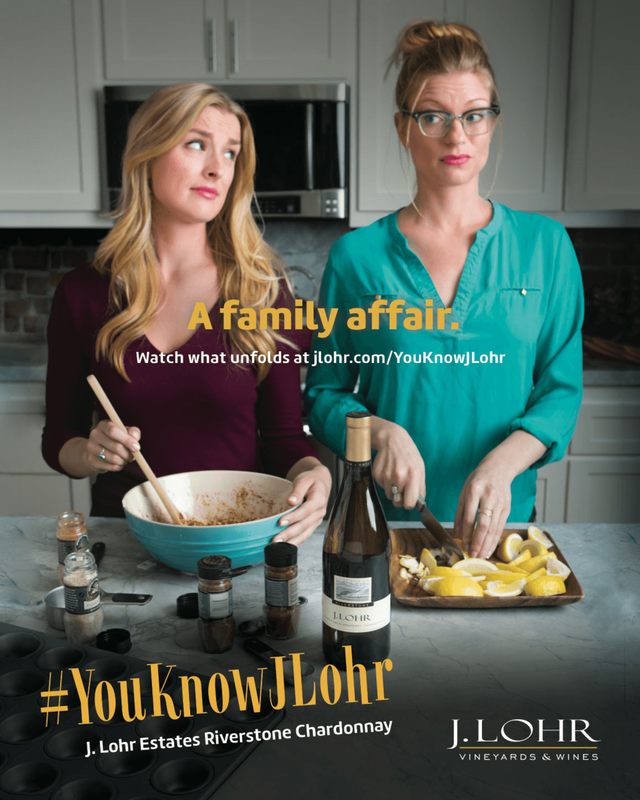 Created for J. Lohr Vineyards & Wines, The #YouKnowJLohr campaign includes a website, print advertisements, and several side-splitting original videos, the final three of which just premiered, featuring J. Lohr Seven Oaks Cabernet Sauvignon. Scroll down to see the videos and enjoy some peeks from behind the scenes! When it comes to romancing his better half, this burly construction worker has a zesty secret weapon up his sleeve. 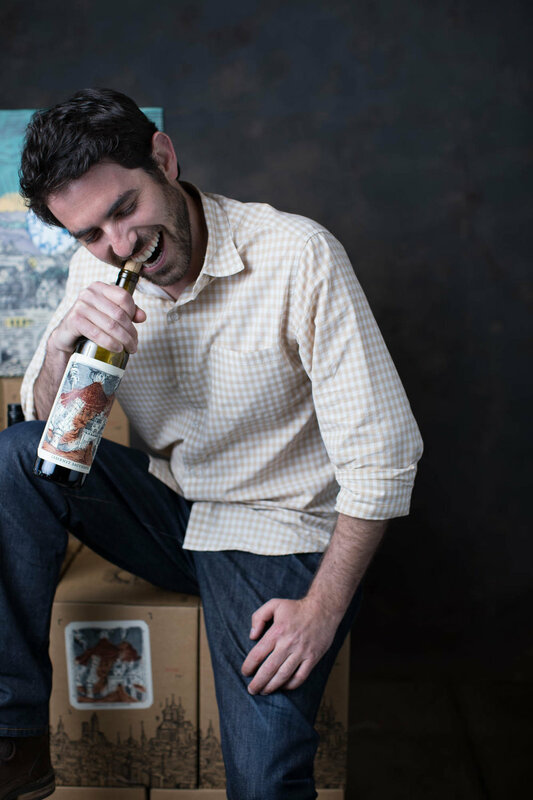 Thanks to J. Lohr wine, umami has now met its match. Hosting and directing a bright and bubbly cast of actors was a delight, as was shooting on location at J. Lohr and other Paso Robles, California hot spots like Il Cortile Ristorante. 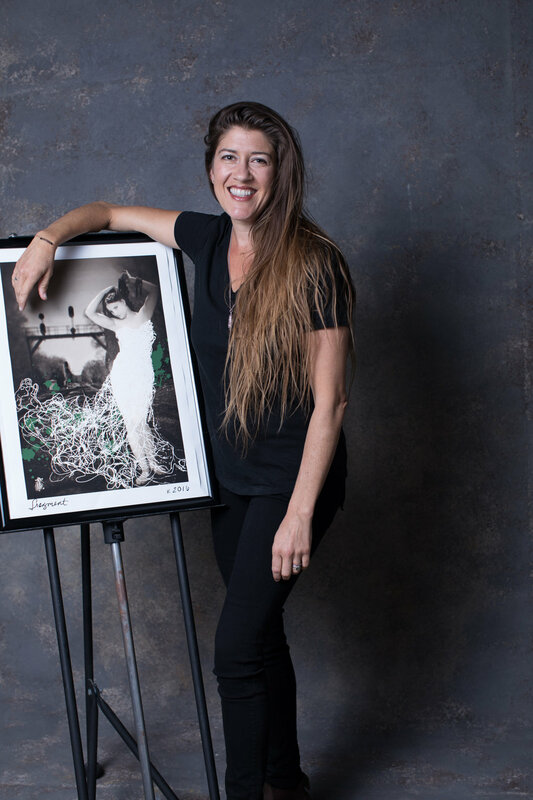 Director Dina Mande also shot the still photography for the national print and digital campaign that will be appearing in many trade and consumer publications such as Food & Wine Digital, Sunset Publications, and Dining Out. If you’ve been following our work over the past few years, you already know that the Juice Media team is excellent at coaxing the magic out of everyday experiences. You might see a vineyard like any other. We see a playground of artistic decisions; the vintages yet to come and the stories that will be told around it. You might see an office building, but we see the hard work and passion contained behind that network of uniform cubicles. 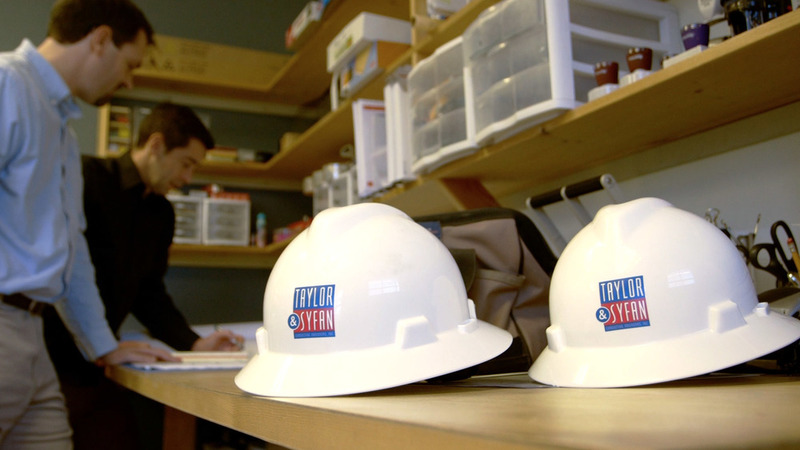 You may not know that the local world of specialty structural engineering is full of bright smiles, cutting-edge thinkers, and grand aspirations. The folks at Taylor and Syfan in San Luis Obispo aren’t just incredibly razor-sharp and fantastically skilled at their jobs. They’re also incredible humans with a united vision to share with the world. We are proud to craft and share that story with custom visual gusto! The Juice team was truly honored to showcase the warmth, excitement, and feel-good vibe of this local company’s culture with two heartfelt videos up now at TaylorSyfan.com. Click here to see our stirring recruitment video and here for the energetic, engaging video displayed at the company’s homepage. Take it from us—these people are the true wizards of design. We applaud them. Shot from the fall of 2015 to the spring of 2016 this series for Adelaida highlights conversations with Jeremy, the winemaker, Glenn the hospitality manager, Mike, their vineyard manager, and We were so happy to work with Solterra Strategies on this beautiful project which helped to promote the launch of their new labels and the opening of their new hospitality center. Estate HMR Vineyard: This video pays tribute to Adelaida's Estate HMR Vineyard. Planted in 1964by Dr. Stanley Hoffman and André Tchelistcheff, HMR is home to the oldest producing Pinot Noir on the Central Coast. Dream Eater Loves SLO County! With much love from our friends at Visit California, the Juice Team was finally able to live our own dream of capturing one of SLO County’s most glorious (pink!) icons. Watch as we follow the bespectacled, bow-tied Dream Eater himself as he bounces on kitschy beds, slurps pink cocktails by the pool and—of course—digs into Madonna Inn’s famous Pink Champagne Cake. Of course, there are so many incredible eats in SLO County to discover, and the world thinks so, too! We’ve already garnered nearly half a million views for our home county! To say we are proud is an understatement. We’re thrilled! ...And what could be better to top all of this local love off than a night cap at SLO’s Sidecar, where mixology and magic collide? The Juice Team was honored to work with Visit California to create a slew of colorful and fun California Dream Eater videos in the series, spanning the Bay Area, Santa Barbara,Los Angeles and beyond! Learn more about California Dream Eater and view all of our scrumptious videos at visitcalifornia.com. We'd like to thank the academy! The Oscars might be long over, but Juice is still feeling the glow from recent recognition from our peers! This year we brought home a whopping 5 Silvers and 2 Golds at the 2016 American Advertising Awards Coastal California competition. Several of these entries will be forwarded to the District 15 Competition, meaning more big wins are sure to come down the pike. What can we say, when it comes to creative brand-building, we live to work and work to live! What's an Addy, you ask? Just the most coveted win a creative agency like ourselves can receive! The ADDY Awards is the world's largest advertising competition with over 5,000,000 entries annually. We are so proud to continue creating award-winning work. Congratulations to our hard-working team, fabulous clients, and stellar partnered agencies! 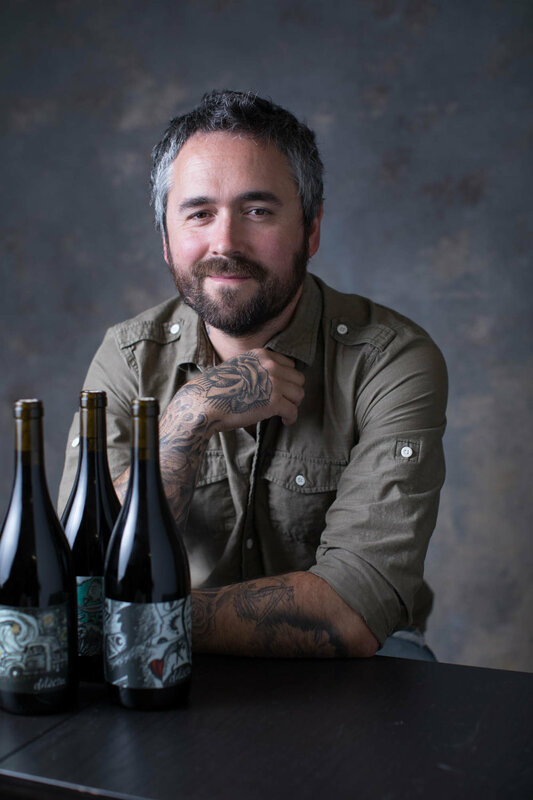 HEARTS AND WINES - Connecting wines with generations; putting an emotional pulse on bygone vintages; spurring passionate moments, once frozen in time, back to dazzling life. This was Juice's sincere mission as we embarked on film, video and branded content for Silver Oak Winery's incredible library program. As you can see from our video, anything worth saving (and savoring) takes time, dedication, and hard work. And this truly is the work we are proud to carry out, each and every day. KEEPING 'EM HUNGRY FOR MORE - Filled with flavorful food and hilarious characters, our delectable Dream Eater Series has proven its prowess as an entertaining, drool-inducing love letter to California's best culinary destinations. Juice can only take credit for the stunning web series, though...The fantastic, five-star chefs deserve the rest of the kuddos! Renegade Refresh - One of the best perks of our job (besides the epic wine)? Working with true pioneers, artists, and renegades. ONX Wines is not your grandma's winery, and our integrated brand identity campaign sets their presence apart with personality and panache to spare. When bold blends, fresh ideas, and passionate people come together, the result is vivacious, vivid, and totally tactile. With this eclectic energy in mind, Juice created a fresh vision for ONX that feels so downright urgent that you could almost reach out and grab it. Viva la revolucion! BIRTH OF AN ICON - So many clients ask, "How can we stand out from the pack?" Believe it or not, the answer is simple...so simple, the truth is usually hiding just under our clients' noses. Sometimes all you really need is an outside force to hold up a mirror. 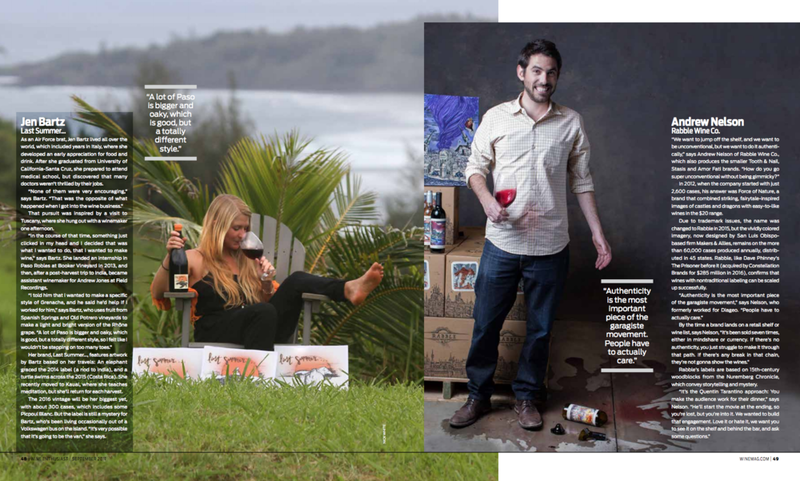 TH Estate Wines is a perfect example of this beautiful relationship between creative agency and client. Through our dynamic integrated brand identity campaign, we were able to reflect the brand's essence---which exudes a sleek, classic, timeless appeal---through stunning visuals displayed boldly across multiple platforms. "Modern" doesn't even begin to touch this brand's fresh, iconic facelift. "What's Unique? The TH Estate Wines label is literally a scaled up version of their logo; graphic, bold, and memorable. 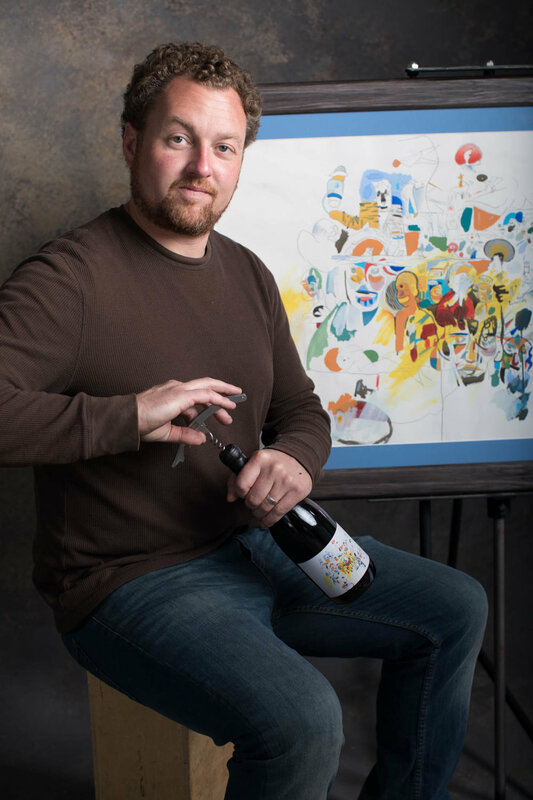 If a person has seen the wine label, they know the winery's iconic identity—even if they haven't seen anything outside the package. The wine cork is printed and highlighted. Removing the foil and revealing the cork is a considered experience in the design of the TH Estate Wines packaging. " The Dream Eater Series is big and boisterous; a whirlwind of colorful California excursions, hilarious gags, and cutaways to the most delicious, gorgeous food you've ever laid eyes on. The question: "How do we pull all of these fun elements together without sending our viewers into a tizzy?" The answer: Editing! Editing! (And even more editing!) The Juice Crew pulled out all the stops for this lengthy and illustrious project, which took us all over the Golden State. With careful cuts, impeccable timing, and tasteful sound effects, Dream Eater is in a web category all its own. Perhaps that's why the sensational online series has garnered hundreds of thousands of views and counting? We have to say, it's been such a fun project that the Juice team cannot wait to get back on the road again for seconds. Juice isn't just interested in creating pretty visuals and jaw-dropping ad campaigns. We care about substance, and that's why we encourage viewers to lean into the conversation and truly come away with knowledge and inspiration. With this award-winning Twomey Vineyard web series, we did just that. Because anyone can showcase a pretty pinot noir vineyard. It takes ingenuity and Juice to showcase just how that vineyard's terroir exudes that special je ne sais quoi. Visiting a stunning, scenic place like Morro Bay in person is one thing. Translating that incredible beauty through careful visual marketing another. Just how do you capture the salty sea spray, dappled beaches, and epic presence of Morro Rock through still photography? Well, Juice gave it a shot and succeeded with flying colors! 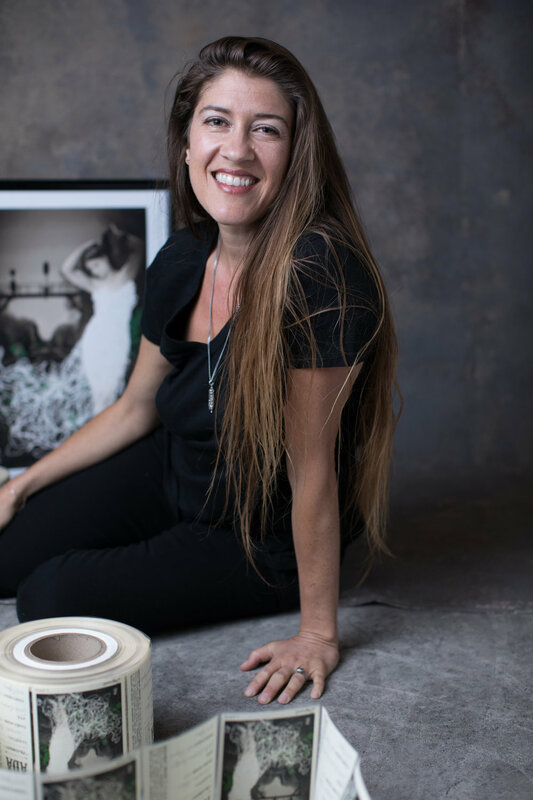 We found that it truly is the people that make the place (even a place as inviting as Morro Bay), and we aimed to show intimate, authentic moments that ring true to the most savvy tourists. Is that the sound of seagulls, splashing waves, and laughing children I hear? Thank goodness Juice headquarters is only a hop, skip, and a jump from this coastal oasis that we proudly call "client." Logo, Website, Bottle Labels & Cork, Print Materials, and Brand Photography. In case you missed it during the big game, catch this beautiful :30 second spot, showcasing the legacy of Scheid's grapes. It begins here, with dedication to the land. Nestled in the Santa Lucia mountain range west of Paso Robles – just 14 miles from the Pacific Ocean – lies Adelaida. A region with a rich past. The vineyard and winemaking team let nature guide the way with sustainable practices. Made with an experienced, but guiding hand in the cellar, the wines show balance and complexity. With a nod to generations past, they are truly Adelaida-borne. Each bottle reflects the incredible sense of place of where it came from. Welcome to Adelaida. Here at Juice, Hospice du Rhône is one of our favorite events all year. So when the fine ladies at HdR asked us to edit together clips submitted from rhone lovers and producers around the world, we said "hellyeah!" - Plus, we had some nice clips of our own we shot a few years ago. Anything to help promote this awesome event! We are stoked that the next Hospice du Rhône will take place within the stunning Paso Robles wine region, Thursday, April 14 – Saturday, April 16, 2016 at the Paso Robles Event Center! Mark your calendar and get ready to Rhône your socks off with us and incredibly passionate Rhône lovers from around the world! Attention Merlot lovers everywhere – ENOUGH IS ENOUGH! Merlot has paid its penance as an inferior grape – and it’s time to proclaim your concealed passion! Whether you’re an ardent Merlot ingénue, or a steadfast devotee for decades, we know your love is absolute. It’s time to bare yourself to the world, and trumpet your affection from the rooftops! This Harvest season, Juice is on a mission: to restore Merlot to its rightful place among celebrated wines! 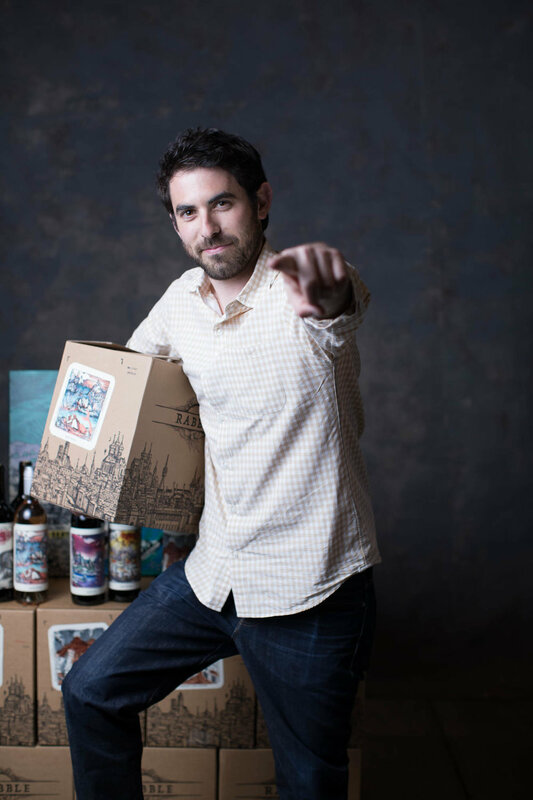 Vote for Wine Spectator finalist “Hipster’s Know Best,” here and help restore dignity to this noble grape! The new comedic series #FREEMERLOT launches this week. Prepare your glasses – it’s time to enjoy a timeless classic. Better Than That is an Avant Garde ‘poke’ at the choices consumers have to make when purchasing. The brand says what consumers think… and points a cheeky finger at the next guy over! 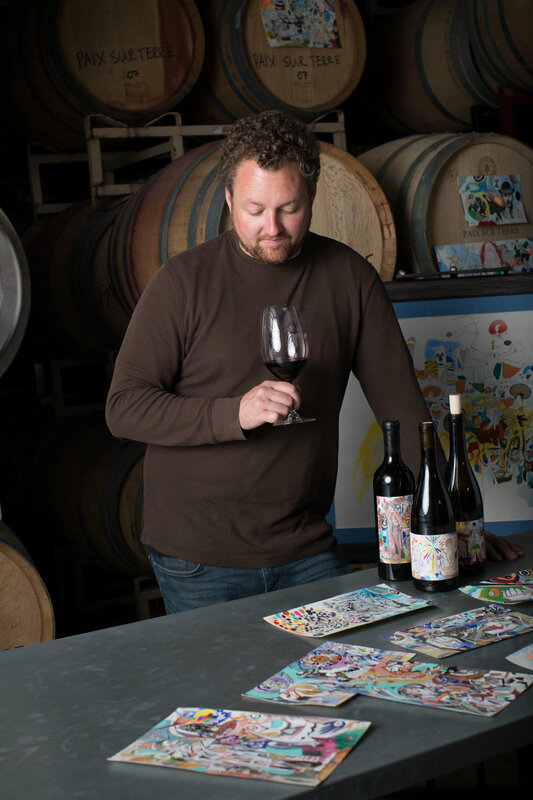 The Siot brand offers reserve selections of ultra premium Bordeaux Blends, Cabernet and Chardonnay that are an ode to late 1800’s winery-founder Adolph Siot, the first person to plant vineyards in the Paso Robles AVA. 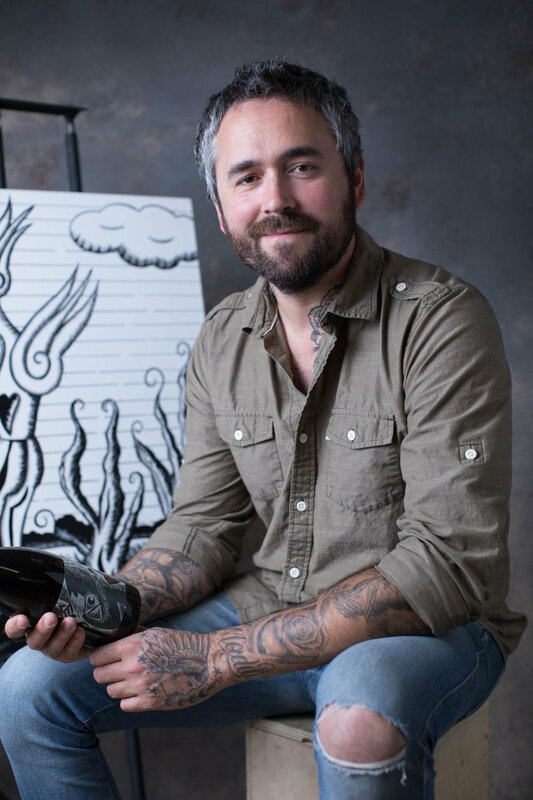 The two new wine brands are Better Than That and Siot, and while each brand is very different, they do have a lot in common: Both brands demanded custom illustration to bring them to life. Both are meant to stand apart on the shelf and at the dining table. They make you look (as a good label should). Juice constructed complete visual identities for both BTT and Siot from logo, to label, to custom packaging solutions. We look forward to watching them come to life — and enjoying a bottle or two over dinner — in the coming months. Another production with our favorite actor. In celebration of the upcoming 32 Annual Paso Robles Wine Festival, the dashing, debonair Paso Wine Man explores why wine is a game of numbers in the latest “Paso Uncorked” Paso Wine Man Video. Growing grapes and making wine is hard work. Growing an entire wine region, well, you get the idea. Congratulations to all the hard working growers, winemakers, marketers and passionate lovers of this beautiful emerging region whose reputation has been so well honored. We’re always thrilled when our work makes it to a big screen and this looked like a great evening. At Silver Oak and Twomey Cellars, they have a saying “we’ve yet to make our best bottle of wine.” This tightly knit group was so much fun to spend time with and we were delighted to be chosen to tell their story. So many of the hardworking and dedicated team members have been with the wineries for years and have seen so many changes. This project involved a couple trips and several days of filming in their beautiful wine-making facilities in Oakville, Calistoga, Healdsburg and Geyersville. The drive between was breathtaking! If you find yourself in the area, definitely stop in for a visit and to taste their delicious wines.